Wounded Times: So tell me, how is that "raising awareness" thing working? So tell me, how is that "raising awareness" thing working? WASHINGTON – The Department of Veterans Affairs (VA) today released a comprehensive report on Veterans who die by suicide. 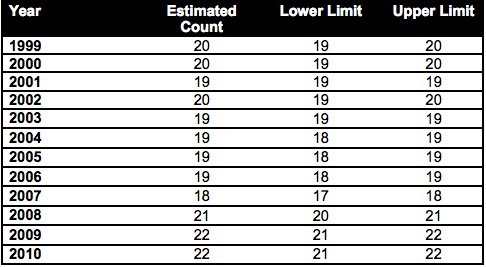 In the past, data on Veterans who died by suicide was only available for those who had sought VA health care services. 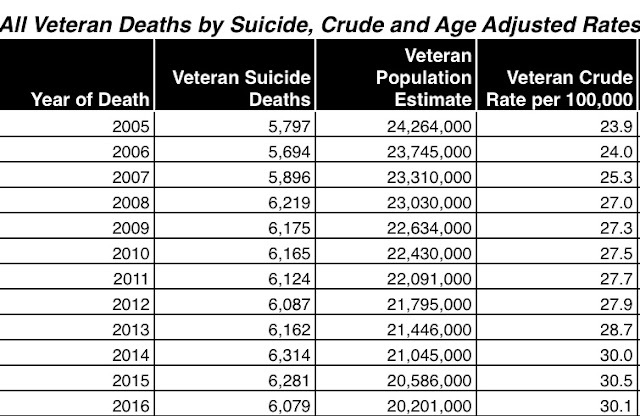 Today’s report also includes state data for Veterans who had not received health care services from VA, which will help VA strengthen its aggressive suicide prevention activities. 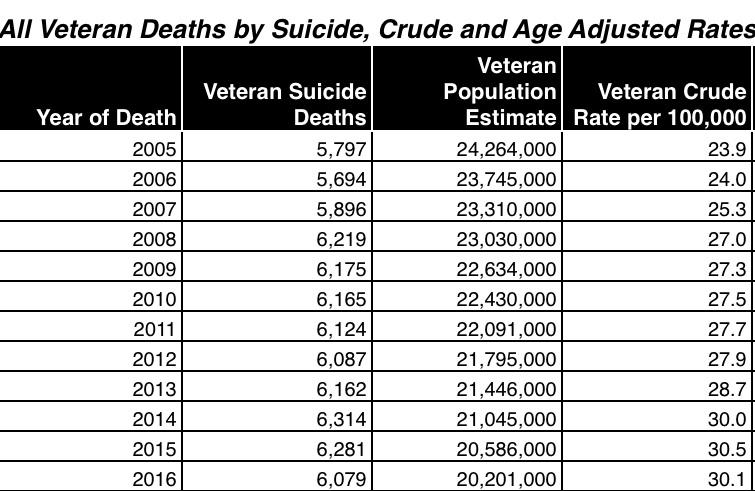 The report indicates that the percentage of Veterans who die by suicide has decreased slightly since 1999, while the estimated total number of Veterans who have died by suicide has increased. VA is currently engaged in an aggressive hiring campaign to expand access to mental health services with 1,600 new clinical staff, 300 new administrative staff, and is in the process of hiring and training 800 peer-to-peer specialists who will work as members of mental health teams. The report issued today is the most comprehensive study of Veteran suicide rates ever undertaken by the Department. On June 16, 2010, Secretary Shinseki engaged governors of all 50 states, requesting their support in helping to collect suicide statistics. With assistance from state partners providing real-time data, VA is better able to assess the effectiveness of its suicide prevention programs and identify specific populations that need targeted interventions. This new information will allow VA to better identify where those Veterans at risk may be located and improve the Department’s ability to target specific suicide interventions and outreach activities in order to reach Veterans early and proactively. The data will also help VA continue to examine the effectiveness of suicide prevention programs being implemented in specific geographic locations or care settings in order to replicate them in other areas if they have been effective. VA has implemented comprehensive, broad ranging suicide prevention initiatives, including a toll-free Veterans Crisis Line, placement of Suicide Prevention Coordinators at all VA Medical Centers and large outpatient facilities, and improvements in case management and reporting. Immediate help is available at www.VeteransCrisisLine.net or by calling the Crisis Line at 1-800-273-8255 (push 1) or texting 838255. The full report can be found on VA’s website along with a summary response from VA Under Secretary for Health, Dr. Robert A. Petzel. As you can see, the first report came out in 2013, but had data only up to 2010. It was also from just 21 states. How do we lose over 4 million veterans, have more suicides and higher percentages after all this time? If you have been donating to any of the groups still talking about raising awareness, ask them if they know any of this, and if they do, then ask them why it has gotten worse for our veterans instead of better.